With 2018 in full swing, experts in real estate are already making their predictions on how this year is going to pan out. Will rents continue to rise? Will affordable homes be as hard to find as they were in recent years? How will the industry be affected by the changes in transportation? According to� Grant Long, StreetEasy’s senior economist, sales within the surrounding area may see decreases as buyers—especially in the Brooklyn area because of the L-Train’s scheduled shutdown in 2019. However, because the NYC Service is set to expand this 2018, it could mean new sales and development opportunities in Manhattan and the Bronx. The 2019 L-train shutdown means that anyone signing a 12-month lease after May will need a new commuting plan that doesn’t rely on riding through the Canarsie Tunnel to the 14th Street. 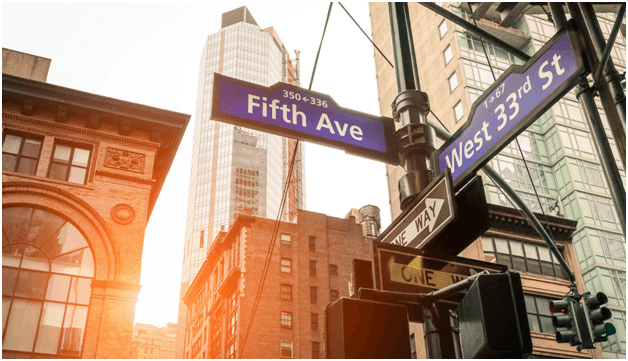 Principal and VP of TF Cornerstone, Zoe Elghanayan, predicts that more suburbanites will make their way to areas like Downtown Brooklyn and the far West Side where heavily amenitized luxury developments that will be priced attractively. StreetEasy’s Grant Long also talks about how 2017 saw the supply of luxury condos surpass buyer demand, making luxury living in 2018 even more accessible to the “normal-rich” New Yorkers who can now afford these luxury condos that are now being offered at discounted prices. This includes discounted rents of high-end luxury rentals. Just like the years before, New Yorkers will continue to search for affordable homes, and it’s likely they will do so for many years to come despite increasing competition. This is a reality that New York will need to address as there are profound economic benefits of meeting the demands for affordable housing. According to the latest New York housing stats published by� NYSAR showing the typical US housing data, supply of affordable homes has dropped 1%, sales are down 2.5%, and average prices are up 7% from last year. City Realty recently interviewed some real estate experts on what they believed were neighborhoods to look out for in 2018. Kathy Berkowitz, broker with Rutenberg, has noticed a lot of movement in the West 150s while Joshua Silverbush believes that the Financial District and Hell’s Kitchen will see a lot more residential development in both condo and rental. And Paul Travis, Managing Partner, Washington Square Partners, believes that millennials will find neighborhoods like Downtown Brooklyn, Williamsburg, and Astoria as attractive alternatives to Manhattan. Do you have any real estate predictions for 2018? Tell us about them.